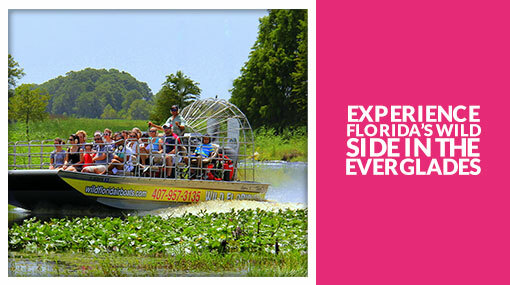 Explore the Central Florida Everglades on an Airboat Ride! 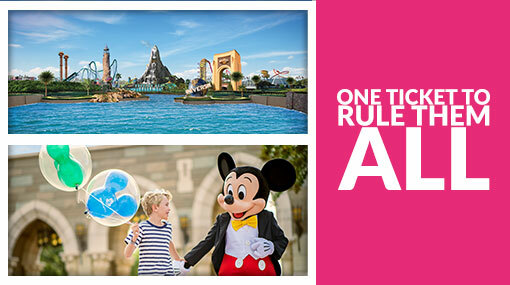 Want to experience more of Florida than just the theme parks? Take a Boggy Creek Airboat Ride for the chance to get up-close (though not too close!) to the region’s famous alligators and crocodiles in their natural environment – Florida’s beautiful Everglades. 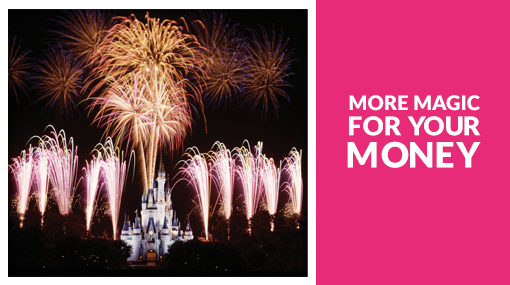 Only a stone’s throw away from Orlando’s biggest attractions, you’ll have the chance to see a completely different side to Florida as you soar through the boggy wetlands, reaching speeds of up to 45mph. The best time to see the alligators come to life is early in the morning (around 10am) and later in the day when the weather starts to cool. Tight on time? 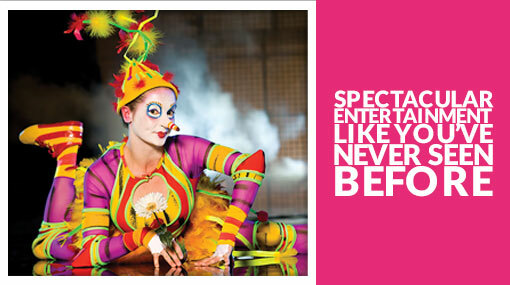 You don’t need long to get a glimpse of the Everglades and its residents! On this half-hour airboat tour you’ll rub shoulders with a whole bunch of native wildlife – from turtles to exotic birds, marsh rabbits to West Indian manatees – and of course, not forgetting the everglades’ biggest predator, the American alligator. Ever wondered what it would feel like to fly? 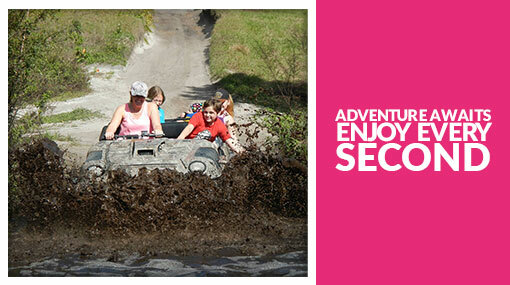 Well, get your grip and prepare for the most exhilarating Everglades experience in Central Florida! Be sure to have your camera to hand and your eyes well peeled for the alligators and crocodiles who are chomping at the bit to meet you…. Delve into the Native American culture that once thrived in Central Florida - explore genuine artifacts and hand-made creations. Hear captivating traditional stories from the past and learn about life in the Native American Village with demonstrations on cooking, tool making, weapons and more. Go mining and discover many hidden treasures – from various gems, to alligator teeth, shark teeth, and rocks! Want to take some home? Buy your very own bag or bucket filled with native Florida treasures. Make a stop at the Boggy Bottom BBQ for old Florida recipes and an unforgettable lake view. 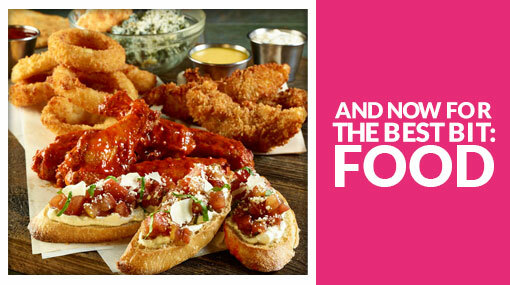 Don't miss your chance to tuck into a tasty gator tail! How do I book my tour time? Where do I bring my ticket?